The driver of Prema Powerteam clocked the best time in Monza's free practice. Only 88 thousands shy his team mate Brandon Maisano. Riccardo Agostini on the Mygale of JD Motorsport is only a tenth slower. 19/10/2012 - It was supposed to be a three-fold challenge and it could not start in a different way: 3 drivers in a tenth. Eddie Cheever, Brandon Maisano and Riccardo Agostini are ready for the last round of the season in Monza, that will award the Italian and European Formula 3 titles. In the free practice held this morning from 9.00 (GMT+2) on a cold and humid circuit of Monza, Eddie Cheever set the quickest time in 1'46''212, relegating his team mate and pupil of Ferrari Driver Academy, Brandon Maisano in second place with a gap of only 88 thousands of a second. Third place at 121 thousands for Riccardo Agostini, that is the championship leader and the winner of the rookies title. The fourth place, at 6 tenths to the top, went to the Milanese driving for team Ghinzani, Kevin Giovesi. All the best laptimes have been clocked in the final stages of the session when a pale sun showed up on top of the circuit of Monza. 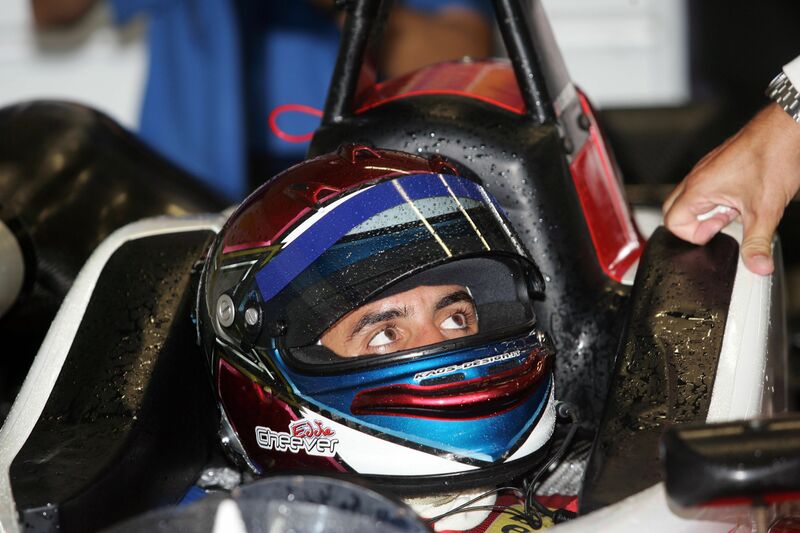 Behind Giovesi was Henrique Martins, the Brazilian of Prema Powerteam ended at nearly 9 tenths from the leader Cheever. 1 second and 4 tenths is the delay of the Moscow driver of Euronova, Sergey Sirotkin, who obtained the sixth place of the session proceeding the Canadian of JD Motorsport Nicholas Latifi. The Canadian of Sicilian origins continues progressing then, after the win in race 3 at Vallelunga. Behind him, the Romanian of team Ghinzani, Robert Visoiu, who set his best time in 1'48''179, while Yoshitaka Kuroda (Euronova) and Mario Marasca (BVM) close the pack. The last qualifying of the season will start this afternoon at 13.50 (GMT+2) awarding the first 2 points of the weekend to the polemen.